Exactly a month ago today I stared blankly out the window of the backseat of a rental car bound for Portland, ME, waiting for all of the Thoughts, all of the Feelings. Because so far, they hadn’t come at all. Which was confusing. I mean, it was over…right? It was over. The night before, I had blown up my sleeping pad, fluffed up my sleeping bag and closed my eyes, just to wake up a few hours later, one last time, in my injured little Hubba Hubba, drink one last crappy cup of coffee, and throw on my damp hiking clothes, holding my breath, pretending one last time that they didn’t reek of that oh-so-familiar mixture of mildew and cat urine…but it was okay because this was the very last time! And not just the last time before a town day, but the very last time ever! 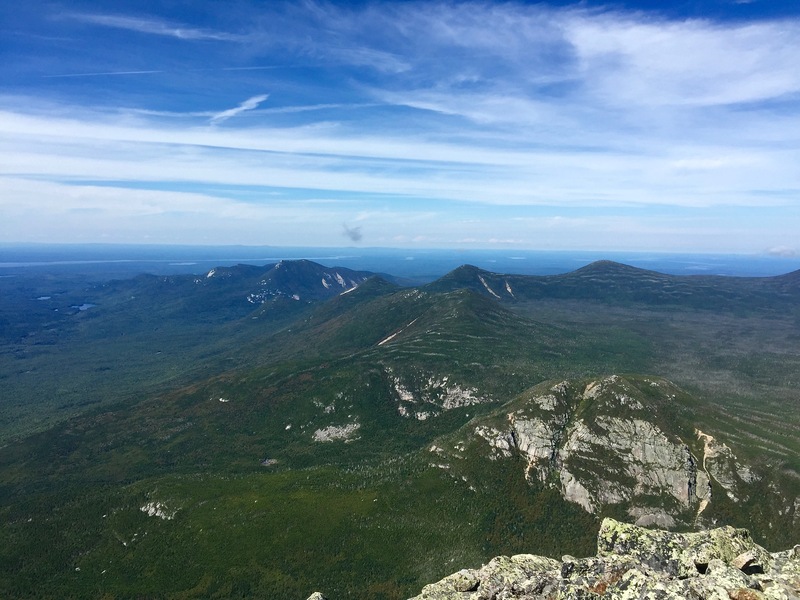 The car hummed along as Baxter State Park and Trail Tosha were slowly replaced by the interstate and whoever I was now. I thought I would feel more. I thought I would feel something. 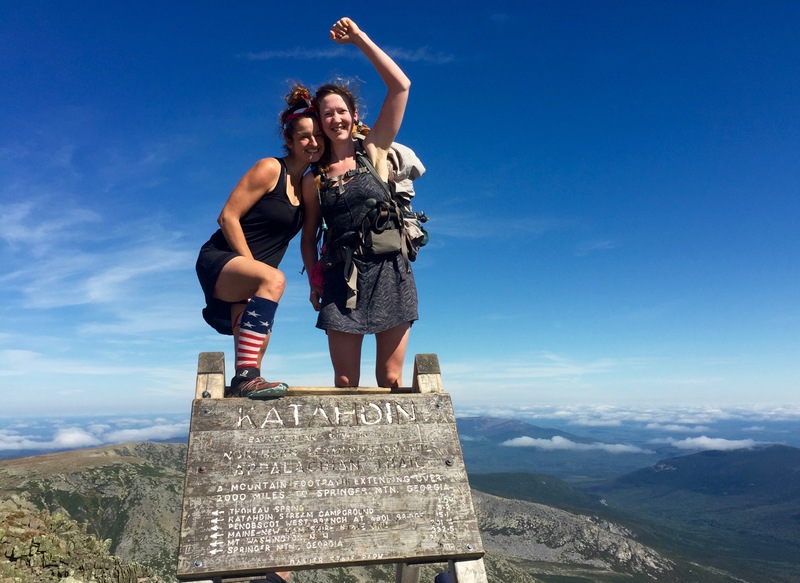 Because earlier that morning, on September 12, hand-in-hand with my hiking partner Emily, I climbed the very last steps of our 2,189.2-mile (but who’s counting) journey from Georgia to Maine. 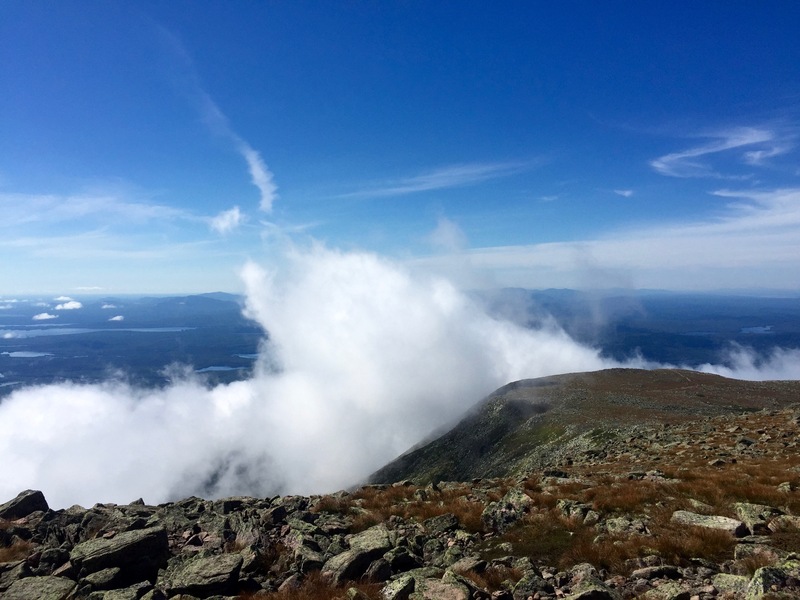 Because earlier that morning, shortly after 10 am ET, I stood at the summit of Katahdin, the far away mystical mountain that motivated me to wake up every morning for the past four months and 20 days, for the sole purpose of getting just a little closer than the day before. Maybe all of the Thoughts, all of the Feelings would come all at once. Because they didn’t hit when I expected them to hit. We couldn’t have had a nicer day to summit if we had hand-written a letter to Mother Nature herself. She had been on our side since day one, and today, on our last day, she did not disappoint: blue skies and sunshine, with whispers of wind lightly kissing our skin. 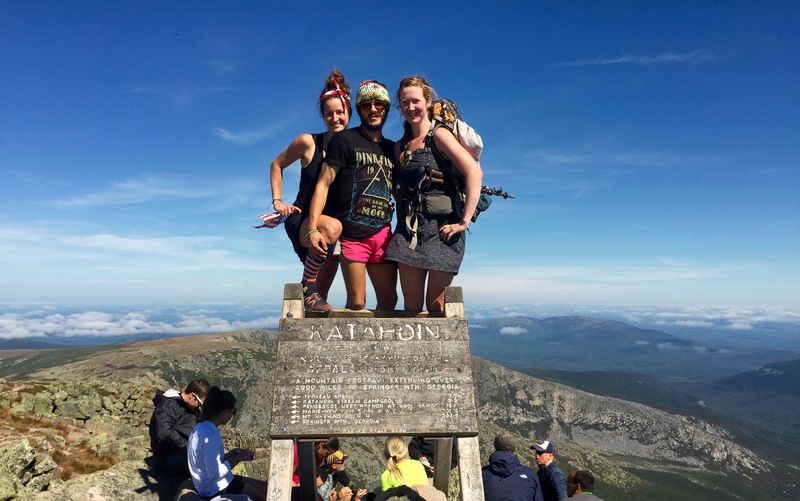 Despite the mule line of people (some thru-hikers but mostly day hikers) who clogged up the tricky parts of the climb, the hike up our last mountain was glorious. Stunning waterfalls, peaceful forests, giant boulders that seemed to lend a hand when a hand was needed. And the view above tree-line was truly epic. 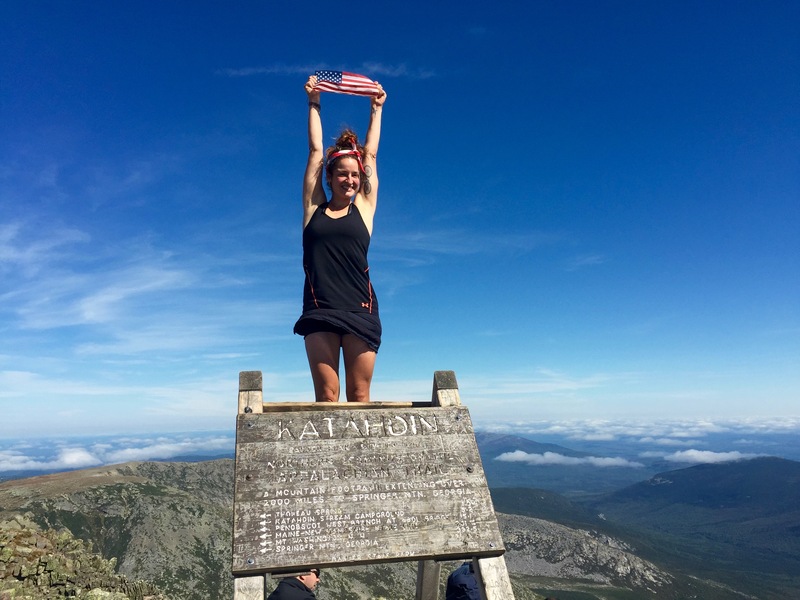 Katahdin was every bit the finale I expected. 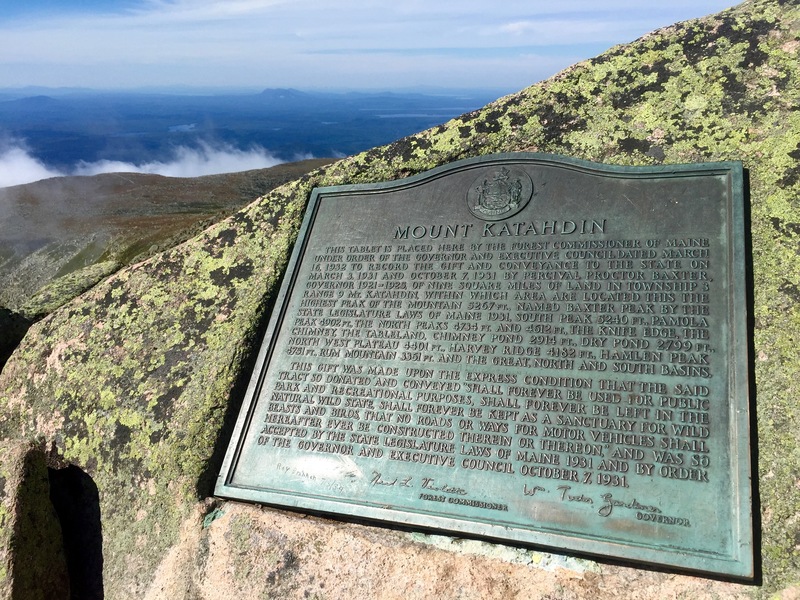 We took turns photographing ourselves on the iconic Katahdin sign, something we had thought about doing since April 20. And now, here we were…doing it. Then we just sort of sat down and stared at nothing, at everything, silently observing happenings around us. Lots of hugging, lots of crying, lots of laughing, lots of gazing. 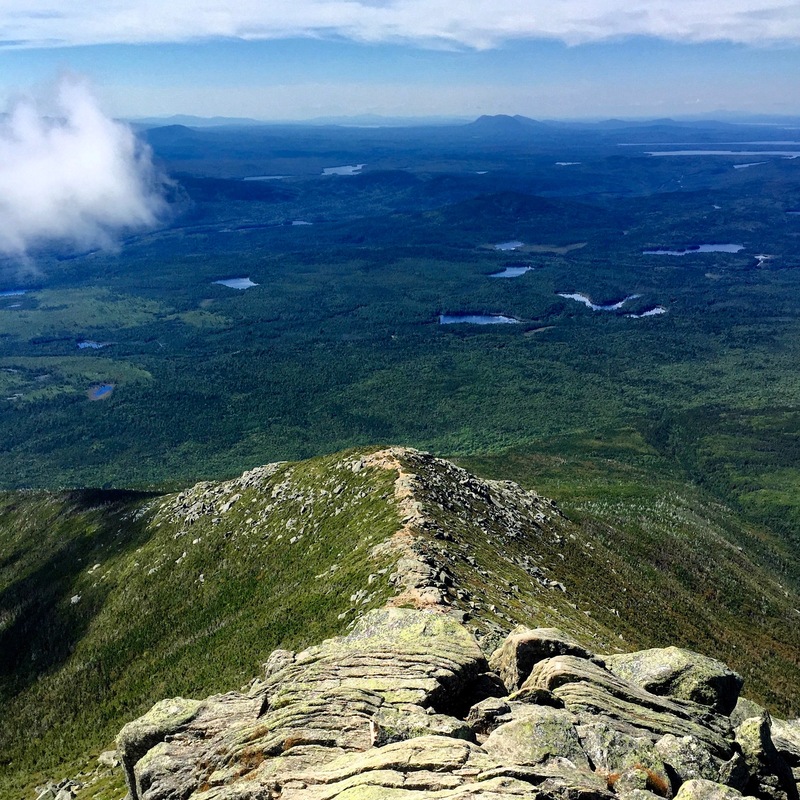 One guy had been up here since dawn just so he could take his Katahdin picture in his birthday suit; five hours later he was still avoiding re-admittance into the real world that was waiting for him down below. I thought I would be full of all of the Thoughts, all of the Feelings. It was so beautiful. It was perfection. It was over. But my heart was the same, my mind was blank, its search history cleared. 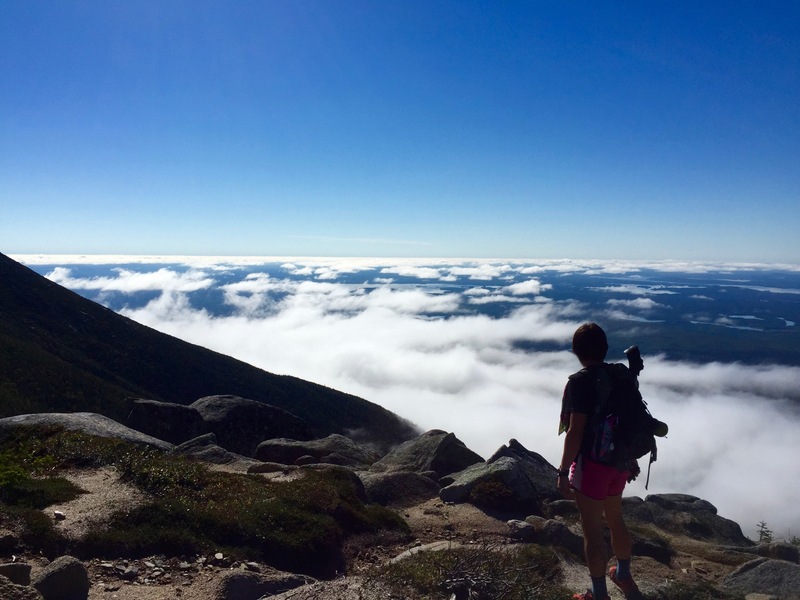 There was only Katahdin and Nothing else. Well. That’s not entirely true. Unlike any other time on the entire Appalachian Trail, we actually had to climb down exactly what we had just climbed up. I had outworn my shoes by about 200 miles and descents were not fun. And now, each step was just a step, not a dent in mileage. Each step was no longer a step toward something, but a step away. 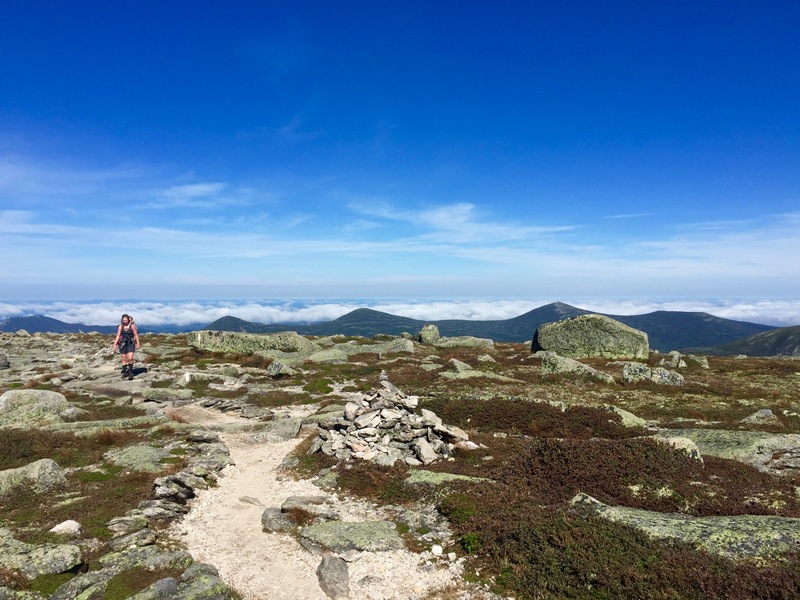 I looked at my hiking partners; Emily, with whom I had shared every single hour of every single day, and Patrick, who joined us for the last six weeks, and the only thing on my mind was our final five-mile descent. And all of the Thoughts, all of the Feelings…maybe they would come later.